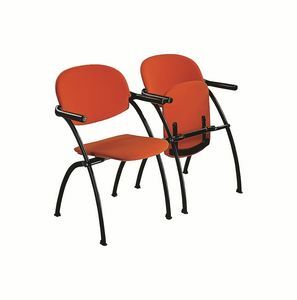 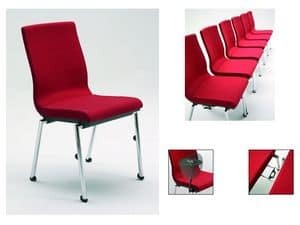 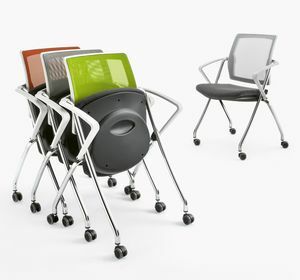 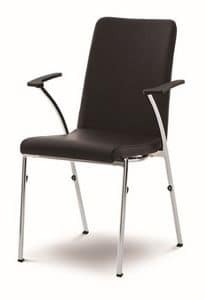 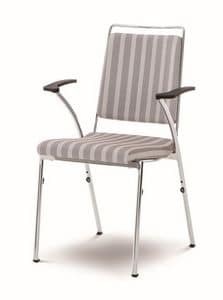 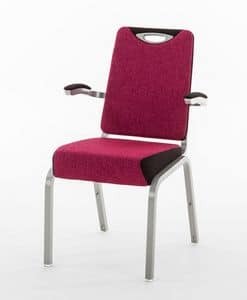 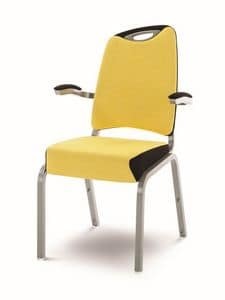 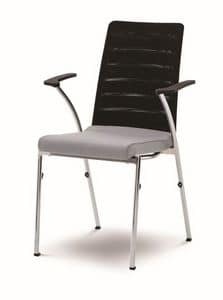 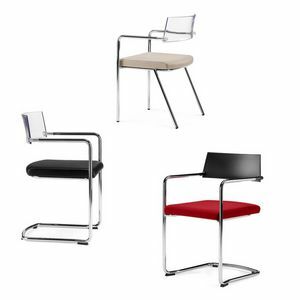 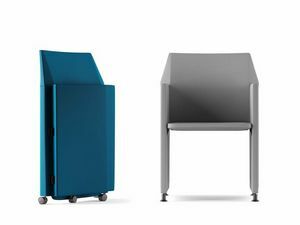 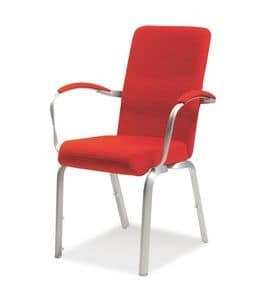 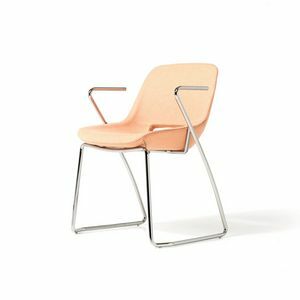 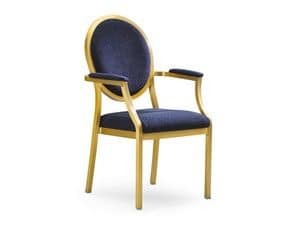 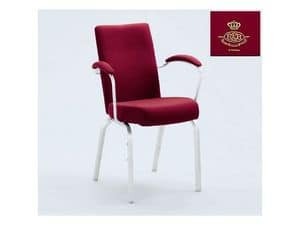 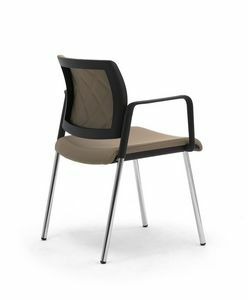 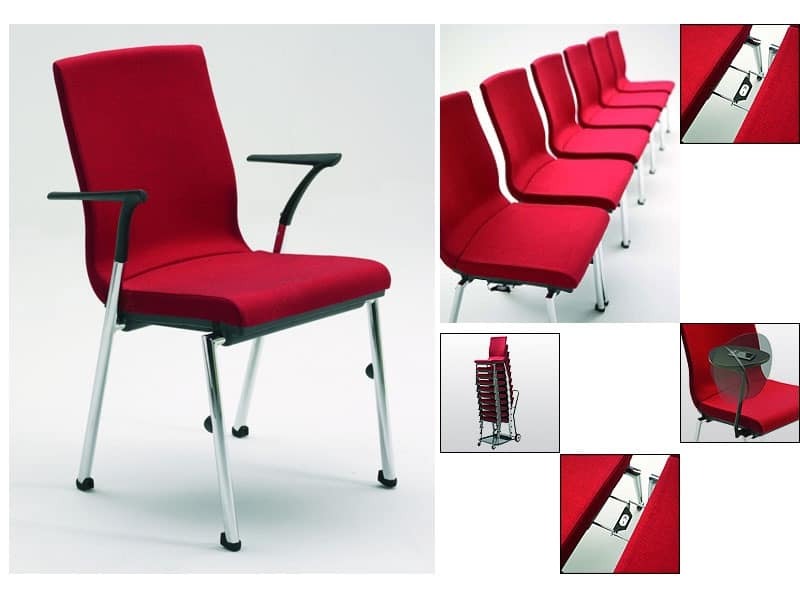 Design stacking armchair for conference, meeting and banquet. 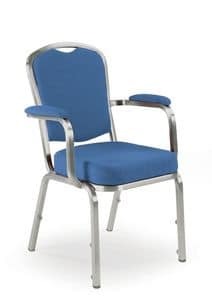 Armchair in metal (chromed steel) stacking 10 times. 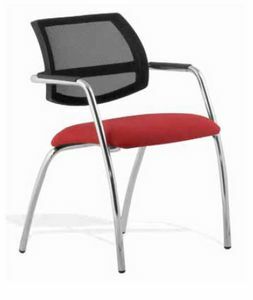 Chair upholstered and covered in fire retardant fabric or leather. 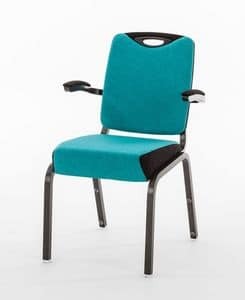 Available with optional handle, retractable linking system, numbering, embroided logo, detachable writing tablet and trolley. 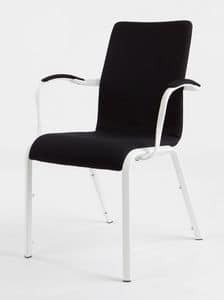 H 88; W 57; D 58; SH 47.